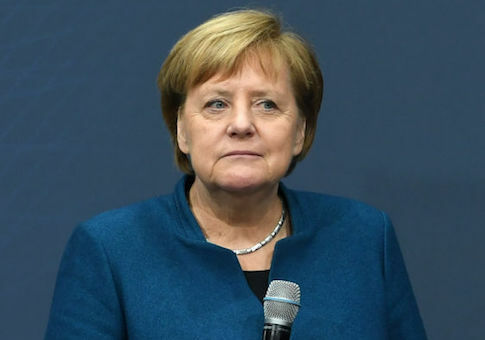 German chancellor Angela Merkel waged a campaign to stop European Union nations from following the lead of the United States and relocating their Israeli embassies to Jerusalem, according to European Coalition for Israel director Tomas Sandell. The Jerusalem Post reported last month that Merkel lobbied Romanian president Klaus Iohannis against moving its embassy to Israel's capital city. Sandell said on Tuesday morning that Iohannis wasn't the only one to receive a call from Merkel, claiming that multiple European leaders who were "seriously considering moving their embassies" to Jerusalem received calls from Merkel. "What we have found out, something I heard for quite some time already, from central and eastern European countries that would have an inclination to move their embassy to Jerusalem, this is the natural thing for them to do, is that they have received phone calls from Berlin, from Angela Merkel, the chancellor," Sandel said in a video, according to the Jerusalem Post. A German government spokesman did not deny Merkel's campaign in emails with the Jerusalem Post, but refused to comment on the content of her calls. "We cannot report from confidential talks," the spokesman wrote. Sandell says the calls by Merkel to fellow European leaders came in April and that the message from Merkel was that an embassy move "cannot happen under any circumstances." He also said the campaign was part of a push by Merkel to save the Iran nuclear deal, which "has been very much supported by Germany and the German government." This entry was posted in National Security and tagged Angela Merkel, European Union, Germany, Israel, Jerusalem. Bookmark the permalink.